only French :) Say hi to Zerkman of Sector One. internet access, all of this under Linux, of course. year ago I think, but you were already doing things before, right ? imagine me at 2 A.M, typing stuff like : 12040 data "begin","began","begun"
this crap as soon as I discovered GFA Basic. running the STACC RTC minitel server. I started learning assembler in 1990, and I quickly coded my first scrolltext. mostly copied effects from other demos, so no interest in releasing them. several ST effects, which were never released, due to a lack of originality. boot sector, and a minitel graphics editor. I lost contact with Celeborn, and I started coding alone, mostly utilities. made the lower border blink. So, I gave up the developement of this program. screen res ... only in monochrome mode ;-). his name or his nickname ...  Shame on me. Trisomic Development turned into another 2-member crew, with only Kor and me. 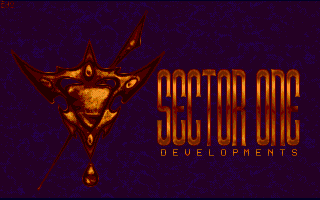 April 2000, I joined Sector One. my own, with no great interest really. experiencing some ST demo effect coding. It's definitely so much fun ! Inside, but for the moment, I'm lacking time for that. that long with sts ! Can you still sleep at night ? whose driver is a hairy monster, and a Mr Potato lays on the back seat. Well, I need to get advice from my psychotherapist first. users actually have a CDrom ? Are you waiting for clones ? projects, and I'm very sad to know the Milan 2 will never be available. released, it would be really good news, and I'd be glad to buy it ! A : err... Atari ? something and/or send some messages ? Then use the opportunity ! party in december, or you will be cursed during at least 3 generations ! cool thingies in a near future (you know what I'm talking about :).